is located at the edge of a valley, that has been named after the river that is crossing it: the Triestingtal. One of Leobersdorfs most popular attractions is the green lung of the village: The Generationenpark (Park for Generations) is a huge recreational area in the center of Leobersdorf that is visited by all generations – from grandma to grandchild. A hotspot in winter is the large toboggan hill, which can be snowed with the community’s own snow cannon. The modern designed Rathausplatz is a popular meeting place and the “living room” of Leobersdorf’s inhabitants: Here people sit together and enjoy a relaxed coffee or get a tasty ice cream with their little ones. In summer, the central square in front of the church and town hall becomes an impressive backdrop for numerous events such as the running race “Leobersdorfer Brückenlauf”, the open-air cultural program ” Leobersdorfer Sommerzaubern”, a cinema the stars, Austria’s largest street gallery, the Christmas market and many more. The small village Pusterwald can be found in the heart of „Lower Tauern”, Styria. 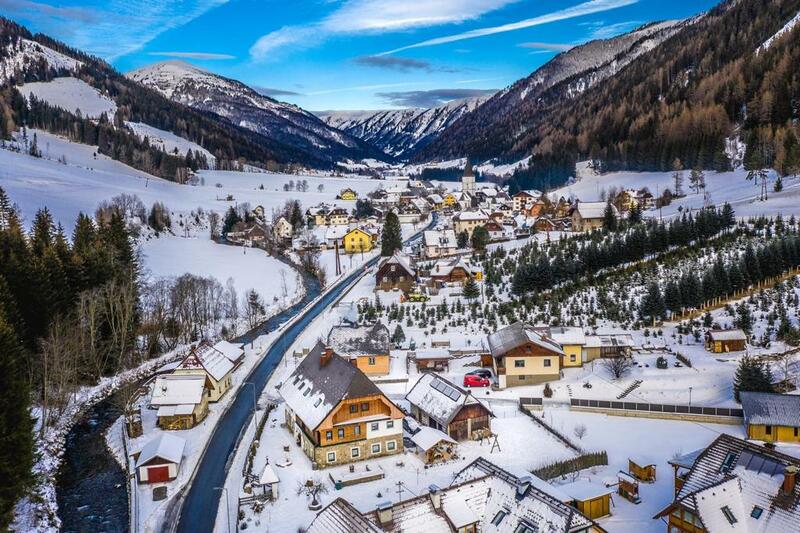 Pusterwald is the smallest village in Styria and is located at 1.072m above sea level and surrounded by 15 two thousand meter peaks. The area is 105,17 square kilometers and 450 people live there. The village has been chosen as the most beautiful mountain flower village from Styria. 70% of the landscape consists of forests, pastures and meadows. The landscape offers the guests and inhabitants not only a pure mountain climate but above all many beautiful destinations in summer and winter. One of them is the“Goldwaschanlage” (gold washing plant). Sustainable tourism which is very close to nature throughout all seasons is of high importance to us. Oudenaarde is a cultural, historical city in the Belgian province of East Flanders, located 25 km south of Ghent. With its 31.000 inhabitants and 13 boroughs, Oudenaarde is the largest region with in the Flemish Ardennes, a hilly region officially recognized as Regional Landscape and is a famous tourist region in Flanders. It also makes the region a very distinguished cycling and wanderer paradise. In Oudenaarde lies the finish line of the Tour of Flanders, one of the most famous World Tour cycling races. In the tour of Flanders Centers museum cycling enthusiasts from all over the world can experience the race every day. In one of Belgium’s finest gothic town halls is situated the MOU Museum. The 14th century Cloth Hall houses the oldest part of the town’s history. Through interactive media and remarkable historical objects, you will experience the stories on a journey through time. Anyone who fancies it may visit 15 original tapestries of Oudenaarde and, in three other town hall rooms, they can view one of the largest silver collections in Flanders. 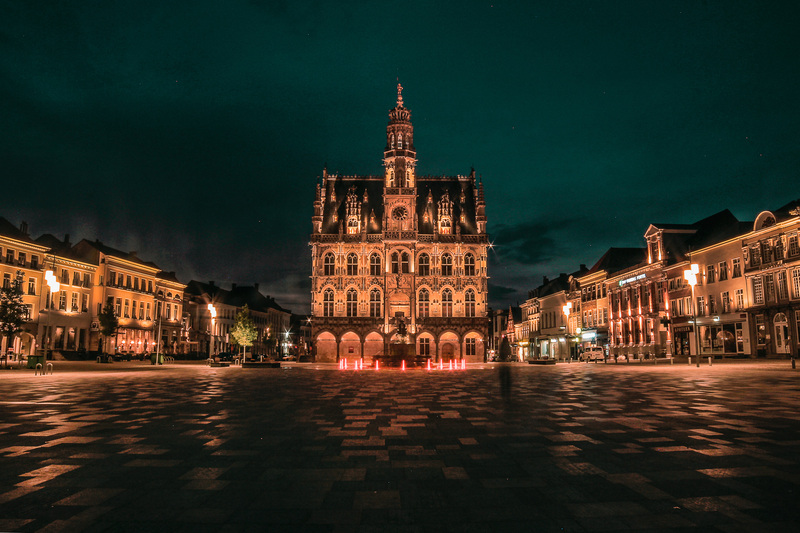 The combination of natural beauty and urban comfort makes Oudenaarde an inspiring, pleasant city with international allure where many aspects of live are covered. In short, a city with a perfect climate for living, working and relaxing. The city of Wavre is nestled in the valley of the Dyle. It was built on ponds and swamps whose iconic water lilies are represented on the coat of arms of the city. City of tradition and folklore, Wavre is also an important economic centre of the province of Walloon Brabant of which it is the chief town. Despite the demographic expansion, the city has preserved its friendly side dear to its inhabitants. The links are also reinforced by the many activities organized and the preservation of the green spaces of our valley. Wavre welcomes many tourists who come to WALIBI amusement park. This one takes its name from the contraction of the 3 entities of the commune of Wavre, Limal, Bierges. The toxn, proud of its past, and ambitious about its future, has also deployed a development plan: WAVRE 2030 restructures the city, embellishes the heritage and put the Dyle back in the spotlight. The Municipality of Ostopovice is located in the South Moravian region of the Czech Republic. First mentioned in 1237, the village has gradually merged with the wider city of Brno agglomeration. Despite limited natural resources and increased air pollution in the area, the municipality has been steadily cultivating its surroundings and green spaces with the aim of extending leisure resources and achieving carbon neutral and environmentally sustainable future. Public participation and the generosity of municipality’s representation have fundamentally contributed to the ongoing process of creating and improving public spaces in the village. Great emphasis has been put on the environmental education, as well. Together with its newly refurbished energy-efficient building, the school has been playing a major role in most aspects of the community life. An outstanding waste management strategy has encouraged considerable increase in the waste separation and has accomplished remarkable reduction of the overall amount of waste. And last but not least, throughout the year Ostopovice hosts a number of cultural events spanning from traditional folk celebrations to open air music and theatre festivals or contemporary art interventions. 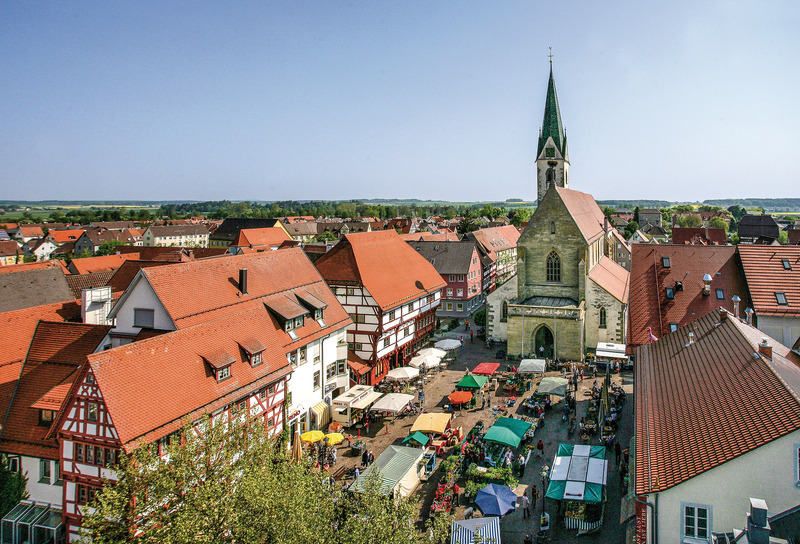 is a small town in southern Germany, located between the Danube River and Lake Constance, surrounded by a pleasant and beautiful countryside in a region called “Upper Swabia”. It is the largest town in the district of Sigmaringen. With approximately 18.000 residents it is a so-called medium centre in our rural region. It boasts all facilities for daily needs with numerous shopping facilities, all types of primary and secundary schools. Its social infrastructure includes a hospital and emergency services. The picturesque town center with its vibrant pedestrian precinct is full of life and the venue of many cultural events. Our spa, “Sonnenhoftherme” has a great reputationi statewide and it attracts many tourists. What makes our town very special is its unique involvement in the field of environmental protection. We have been given the title of “State Capital of Biodiversity” and are known as an exemplary conservation community. At the basis of town management and administration is a strictly ecological philosophy. Weyher, a picturesque rural village in the Southern Palatinate region of Germany, is characterised by its fine wine-growing. The location at the idyllic edge of the hills of the Palatinate forest offers a splendid panorama over the Rhine plains. Weyher is the entrance to the valley of the Modenbach and the Palatinate forest; one of the largest continuous woodlands in Germany. The surrounding landscape is characterised by chestnut trees, almond trees and vineyards. 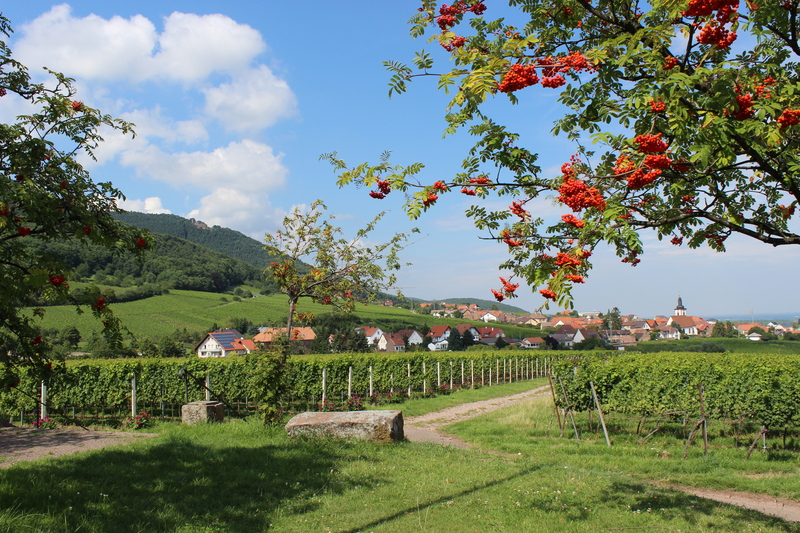 Viticulture, favoured by the mild climate in the upper Rhine plain, has been an important source of income in the village for centuries. The wine of the family-run winegrowers enjoys a highly respected reputation nationwide. 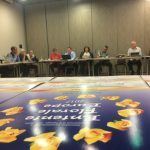 A diverse range of events throughout the year and distinctive club activities connect the community across generations. Many voluntary initiatives for the preservation of nature and the environment contribute to the uncomplicated harmonious integration of the village into the surrounding landscape. Alongside the residents, this is also treasured by numerous day visitors and overnight guest. Weyher has several guesthouses and apartments, as well as a small hotel to ensure a relaxing and enjoyable stay for all. The village of Csemő was founded in 1952 on the outskirts of Nagykőrös and Cegléd. At that time, a verdict was passed in the so-called “Csemő case”, in which a dispute between the two neighboring towns over the possession of this area ended. It is located 70 km from the capital, Budapest, in the middle of the country. Csemő, one of the largest populated areas in Hungary, has a total administrative area of about 8,000 hectares, 7800 hectares of which are outskirts, two thirds of the total population live in remote areas, on farms. 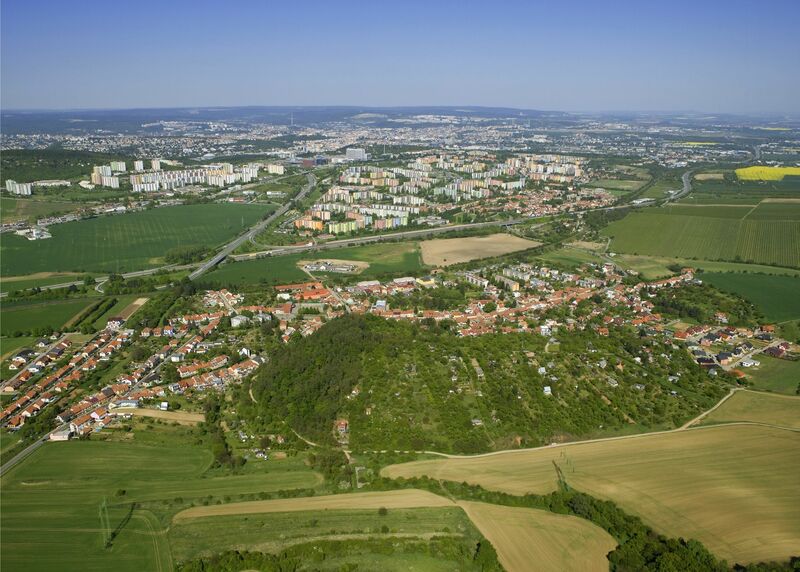 Csemő was awarded the “Flowery Settlement” title in 1997 and 2018 in the “Flowery Hungary” competition. In 1998 we won bronze in European competition. In the life of our village, environmental improvement, the implementation and maintenance of environmental protection are of particular importance. One of the notable factors in achieving this goal is the “environmental education” of kindergarten and schoolchildren, since one quarter of the population of the village is made up of young people under 18. 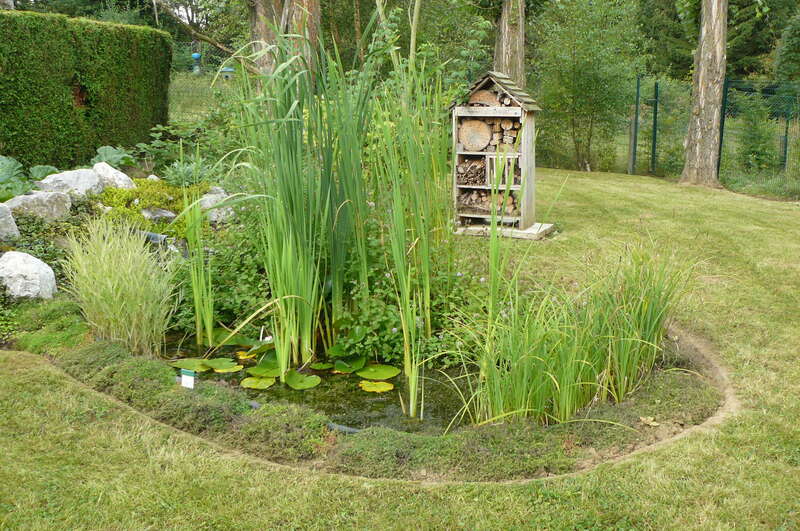 Our kindergarten is a “green kindergarten”, our school is an “eco-school”. Nagykőrös, “a green town in the heart of the country” celebrated its 650th foundation anniversary in 2018. With consistent planning and high quality implementation our green sceneries were significantly remade. In the last few years our boating lake and Cifra Garden were completely renovated, both of them becoming important community recreational locations. A steppe oak forest is located in the town area which is unmatched in Europe. 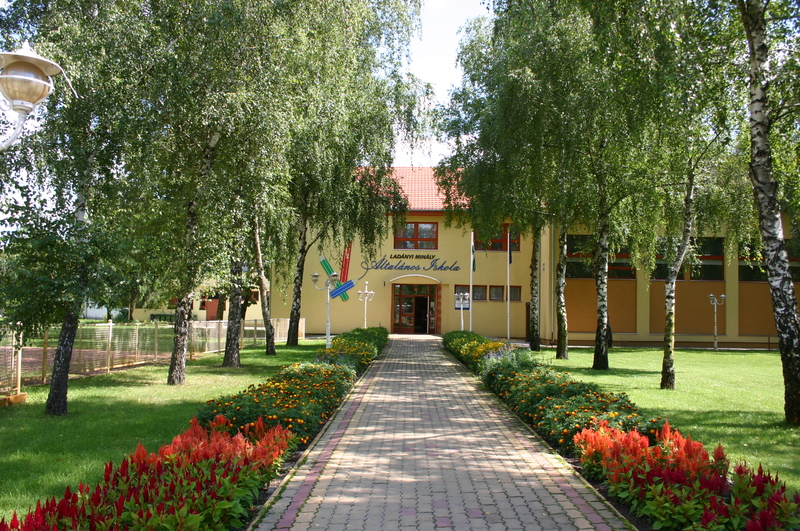 An educational centre was also established in the forest. Besides keeping local species, we constantly try to improve the current green scenery by placing new plants being resistant to environmental changes. Community involvement also holds great significance. Every year hundreds of saplings are handed out to residents in order to make their streets more nice-looking. Another tradition is the local competition called “Flowery Nagykőrös”, motivating citizens to improve their environment. Built heritage protection is a notable factor as well. The town possesses 500 listed buildings, eg. spectacular civic mansions. The town government considers these buildings as local treasures and supports their renovation every year. 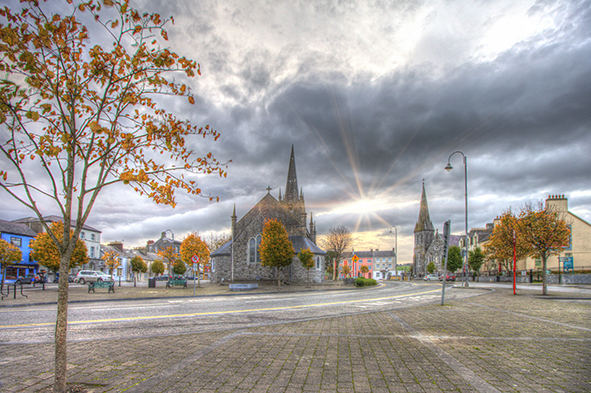 Listowel, located in North Kerry, has a population of 5,500, is a lively, friendly and attractive Heritage Town and a retail centre for North Kerry and West Limerick. After celebrating 25 years in the competition, Listowel was announced as the 2018 Supervalu Tidy Town Overall Winner. The town has a well preserved and compact central core and is characterised by narrow streets, fine buildings and many points of interest. The town is renowned for its highly ornate shop fronts, its literary heritage, many very successful festival and events and its large well-designed town square. The Town Park and Garden of Europe are relatively unique in their centrality to the town centre with 35 acres of mature trees, gardens, walks and various outdoor pursuits to be enjoyed by both residents and visitors. Listowel’s tourism infrastructure has grown in recent years and Kerry County Council have recently finalised the design for the extension of the Great Southern Trail to Listowel from Abbeyfeale, Co. Limerick. Listowel has a vibrant, hard-working community that strives to achieve a better place to live, visit and do business. is a village in County Mayo in the West of Ireland with a population of 310 which fluctuates through the Summer Months. Mulranny (Maoil Raithne) means Hill of the Ferns. The village lies on an isthmus at the gateway to Achill Island and the Mullet Penninsula close to Ballycroy National Park and on Irelands Wild Atlantic Way. 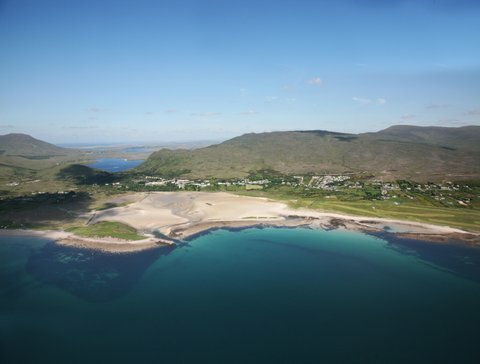 Mulranny overlooks Clew Bay and her 365 Islands facing Croagh Patrick. The Great Western Greenway, 42km of road cycling and walking trail, winner of the European Destination of Excellence Award (Eden) 2011 runs through the back of the village. This trail initiated new local industries, loop walks and a Gourmet Greenway trail showcasing local produce. 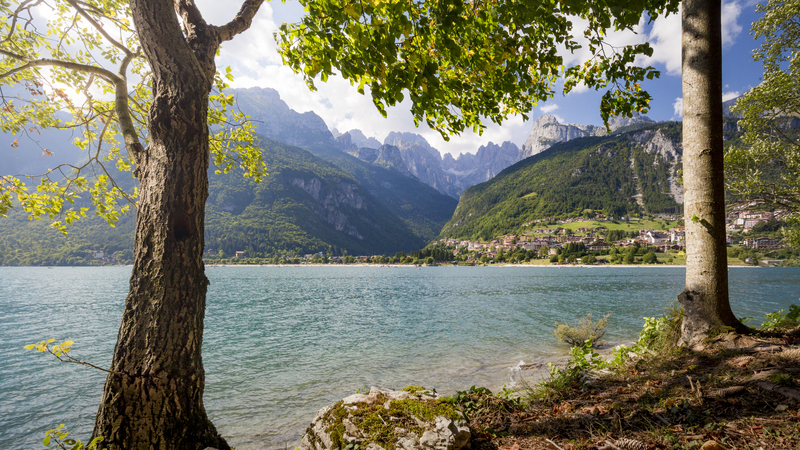 Molveno is a charming village surrounded by the Brenta Dolomites rocky peaks and the crystal-clear waters of its lake. Lake Molveno – famous for the extraordinary alternation of blue and green shades – has been deserving in the last few years the Italian Touring Club “Bandiera Arancione” Award (Orange Flag), thanks also to its unspoilt environment, which is protected by the Nature Park Adamello Brenta Geopark. As a matter of fact, the woods near the village are still populated by a rich fauna: fir and beech woods shelter roe deers, foxes, chamoises and squirrels. Molveno is also a place with well-estlabished tradition of tourism, where nature and well-beeing have always been held in high esteem and valorized in all their aspects. From the typical historic centre closed to traffic, to walks along the lakeside, to the park with many facilities, to the beach and the new Acquapark, with open-air sporting activities and the pleasure of a dive into the lake! Molveno has been known by rock climbers since the 19th century and nowadays still charms our guests with wonderful walks and excursions in the Brenta Dolomites, Unesco World Heritage. Looking for something more relaxing? Then don’t miss the free lawned beach on the lake shores: the right place to get some rest! Fai della Paganella is located in Trentino (Italy), near the Brenta Dolomites, a UNESCO World Heritage Site, and the Adamello Brenta Nature Park. 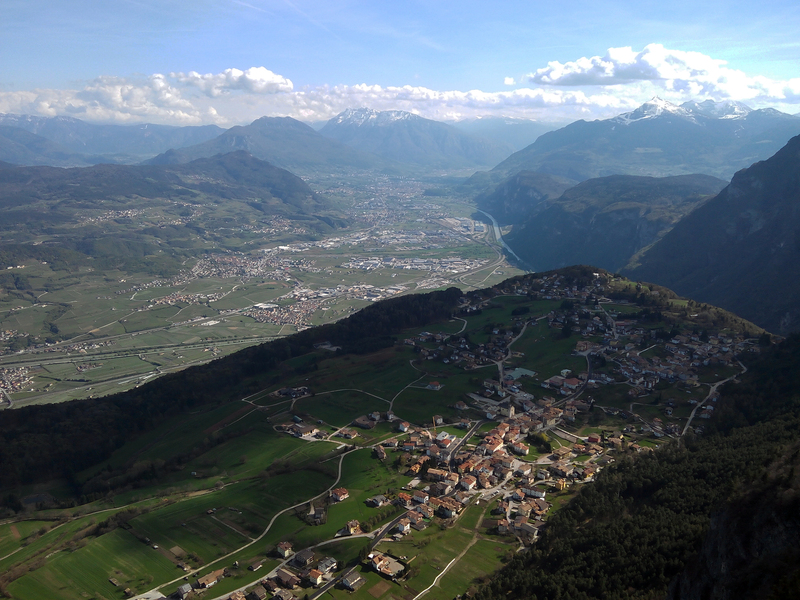 Its position is particularly fortunate: it is located on a plateau at an altitude of 958 meters above sea level, with a superb view over the entire Adige valley; a natural terrace framed by mountains that preserves areas of rare beauty and enjoys a favorable climate. Despite being a tourist center with a fair presence of accommodation facilities, the village has maintained its identity and has not been overrun by the urban excesses typical of many holiday resorts. Fai della Paganella’s strong point is, in fact, Nature. Its uncontaminated landscape can be explored through walks, hikes and bike rides, ending often in charming mountain lodges and family-run alpine pastures. Adrenaline lovers have their choice of trekkings, via ferratas and rock-climbing venues. Twello, a village in the municipality of Voorst in the province Gelderland in the east of The Netherlands, is located between the great moraine ‘De Veluwe’ and the floodplains of the river IJssel. It dates from the Middle Ages. 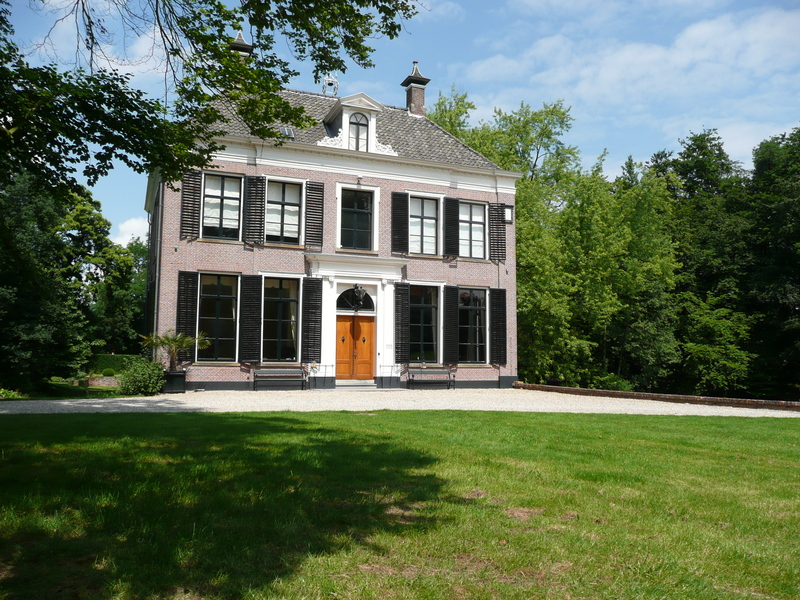 After 1800 a circle of country houses were built by wealthy families to escape the nearby cities. This circle, with high landscape values and cultural history, adds severely to the character of Twello. In the rural surrounding lays an extensive network of frequently used walking- and bicycling paths. Twello has a big attraction because of its extensive variety of shops, care facilities, leisure and a great deal of sports clubs. There is a big amount of charity work and informal care for family and neighbours. It’s an attitude we call ‘noaberschap’ in which one can recognise the word ‘neighbour’. Twello is the green heart of the Cleantech Region, seven municipalities working together towards a clean sustainable future.